An epic holiday with your friends should be on every bucket list. There is just something to be said for gathering your best mates and hitting the road. The possibilities are endless. 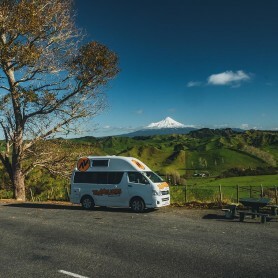 You might, for example, want to consider a New Zealand camper van hire and exploring the lush New Zealand scenery. 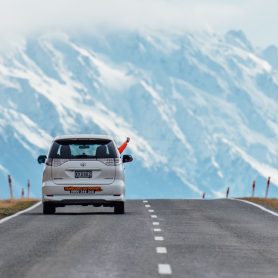 Before you set out on your grand frienventure, here are a few ideas to keep you all excited on the road. No, we don’t mean the standard “Find a red VW bug” variety of travel bingo. Instead, make the game about you! Create a list of inside jokes among your friends that you predict will happen along the way. For example, perhaps one friend inevitably loses her phone. Or maybe another sneezes every time he looks at the sun. Make your list of 25 things likely to happen among your friends and then fill in your own game boards. First to get a BINGO wins! Create a list of cool, but slightly obscure, things you would like to see along your journey. For example, if you are heading out to Milford Sound in your camper van, perhaps you would really like to see the kakapo bird. Use your smartphones to see who can bag shots of everything on the list first. Geocaching is a trendy new pastime in which players use apps and GPS systems in order to find specific spots. Think of it like a treasure hunt. You will be given the clues you need to find the location and once there, you get to discover something cool! The best friend adventures are those which lead to even better bonding. Well, nothing says bonding like a tradition that can be remembered in the future. Pick something that your group can make into a trip tradition. It doesn’t have to be grand. For example, perhaps every time you enter a new city, you all take a funny photo with the city sign. 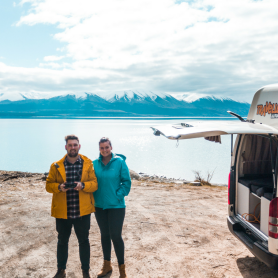 Or maybe you make a tradition of ringing a bell for every hundred kilometres you cover in your camper van across New Zealand. Traveling, by nature, takes us to places outside of our norm. 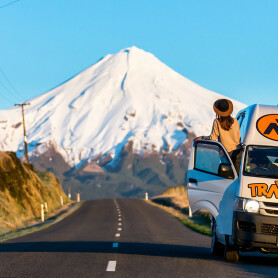 Longer journeys tend to take us to many new places. Try comparing a specific thing across multiple locations. Maybe your group all enjoy ice cream. Set out to sample the same thing in each new city or in multiple establishments within the same city. Your focus item can be anything! Wine, hamburgers, or even hotel pillows! Imagine your friend getaway were to be made into a movie. After all, with all the fun and adventure you are having, why shouldn’t it be? As a group, create the perfect soundtrack to represent your journey. Each of your mates and you can be responsible for adding a certain number of songs to the compilation. But don’t just select the songs; explain why the song is symbolic of specific moments or aspects of your journey. Part of the fun of travel is that people don’t know who you are. Only your friends are aware of the true you and they are in on the fun. Have each friend create an alter ego, complete with backstory, which you can use while out and about. Try only interacting with each other as your travel persona. Well, obviously you already “know” each other. But long journeys are the ideal time to get to know your mates in a different light. Play games like “Truth or Dare” or “Would You Rather”. Or, just have a good old fashioned deep conversation. There is plenty of road ahead of you, so go ahead and dig in. Make sure that each member of your party gets to feel some control over your adventure. Rotate who is “Captain of the Day” throughout your trip. The daily captain has the honour, or duty, of setting the itinerary. Yep, you know what I mean. Ditch your smartphone and actually be in the moment. Enjoy your time with the friends who are actually right there in front of you. Guaranteed, the real adventures are not happening in a social media messenger note.